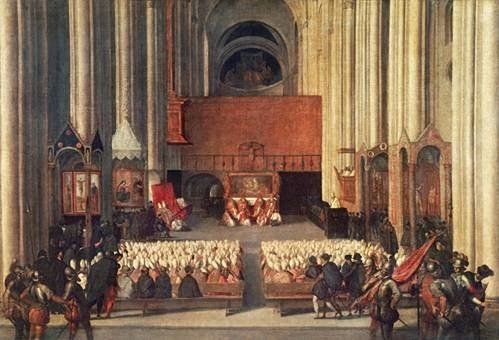 Yesterday marked the 450th anniversary of the close of the Council of Trent. This is the Council that launched the Catholic Counter-Reformation stimulating, for example, the foundation of new and successful religious orders, 'introducing' the Tridentine Mass and initiating a cultural change that saw the creation of a whole new artistic form, the baroque, that was, according to Pope Emeritus Benedict, the last authentically liturgical tradition of sacred art. 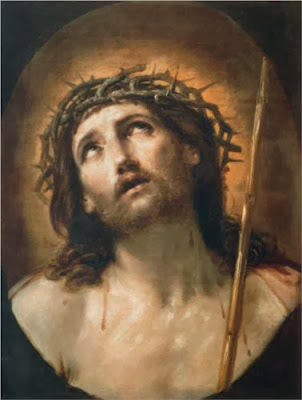 This was so powerfully beautiful that it what started out in the early 1600s in Rome as painting for the liturgy, became the standard in both sacred and mundane art (such as landscape and portraiture) throughout Europe, in both Catholic and Protestant lands. 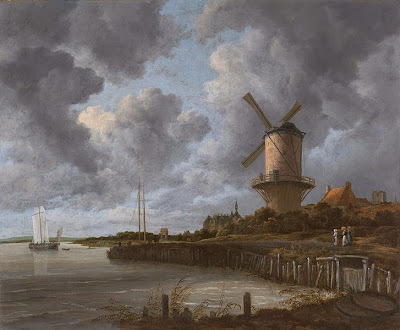 The Dutch artists, such as Rembrandt, copied this style. 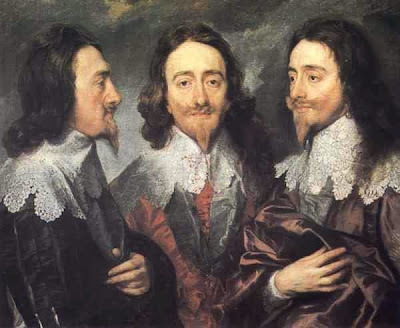 Charles 1 of England, for example, brought Anthony Van Dyck (later Sir Anthony) over from mainland Europe so that he could have his own baroque painter. From this line came the tradition of great British portrait painting, with figures such as Reynolds, Gainsborough, Lawrence. From this line came the tradition of landscape painting that gave rise to Constable, for example. In this article, which appeared first in Catholic Exchange, Stephen Beale discuss the reasons why it was so successful at re-asserting the Faith and connecting with the wider culture. He also considers what lessons we can learn from this in regard to the situation we have today. He writes: 'Today marks the 450th anniversary of the end of the Council of Trent, which not only stood athwart the currents of the Protestant Reformation but even turned the tide of European history by launching the Catholic Counter-Reformation. The achievements of the Counter-Reformation are breathtaking: It gave rise to great religious orders like the Discalced Carmelites, the Capuchins, and the Jesuits, who, in turn launched the great missions to South America, Africa, China and Japan. It gave birth to great saints like St. Teresa of Avila, St. John of the Cross, St. Ignatius of Loyola, St. Philip Neri, and St. Francis de Sales and inspired a new era of devotional fervor, as exemplified in books written by many of those saints, like The Spiritual Exercises and An Introduction to the Devout Life. And it created the form of Catholicism that withstood centuries of social strife and political turmoil, from the French Revolution to the emergence of communism, as Catholic author George Weigel has observed. Trent’s anniversary is an opportunity to not only celebrate such extraordinary success, but also to learn from it.' The rest of the article is here. 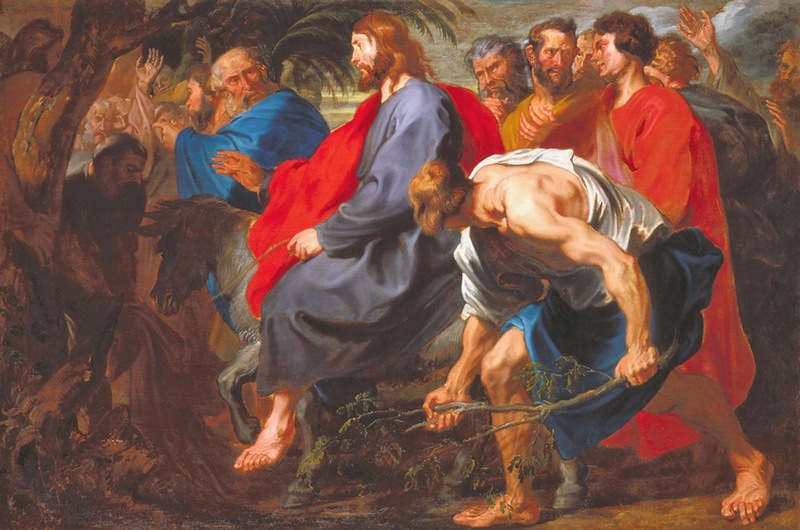 Below we have Guido Reni's Ecce Homo; Van Dyck's Entry into Jerusalem; Van Dyck's triple portrait of Charles 1; and then a 17th century landscape by Dutch artist Ruisdael's.